Please register by September 22nd to get early bird rates. Rates go up by $25 after September 22nd, 2018. DECISIONS ARE OUT. Check your mailbox! Please make your plane and hotel reservations and join us just prior to ACR. It is shaping up to be an amazing conference! For more details on things to do in Dallas – head here. The 14th ACR Conference on Gender, Marketing, and Consumer Behavior will take place October 10-11, 2018 in Dallas, TX with an informal social gathering on the night of October 9th. The conference agenda will include competitive sessions, special sessions, a keynote speaker, mentorship breakfast, working paper/poster session, among other activities. This conference will be held directly before the Association for Consumer Research North America Conference (which runs from October 11-14, 2018) and will be located in the same venue, the Hilton Anatole. Within the past year, gender has been the focal point of conversations across the globe—ranging from American, British, and Australian politics, Silicon Valley and Hollywood to addressing the gender pay gap in Iceland and shifts in women’s rights in Saudi Arabia. At this conference, our aim is to harness the energy of these conversations not only to showcase the academic research on gender, marketing and consumer behavior, but also to set an agenda for continued advancement in theory, practice and social change as it relates to gender. We invite scholars to submit their work on the forefront of gender, marketing and consumer behavior and welcome various perspectives and topics. Aligning with our theme for the conference, we call on scholars to reflect on and engage in our communities and to be tirelessly persistent in forging a path forward. In this conference, we encourage scholarship that explores gender as a sociocultural construct (re)produced through multiple and intersecting levels of gender relations (McCall 1992). As Hein et al. (2016) summarize, these include (1) symbolic representations and discourses or “durable cultural expressions of gender differences” (McCall 1992, p. 837) (e.g. the categories of male/female/trans, masculine/feminine); (2) identities and experiences that arise from the embodiment of gender (e.g. motherhood, masculinities); and (3) the organizations and institutions that create sociocultural and economic structures, such as the gendered division of labor (McCall 1992). We leave open the possibilities of topics that scholars may examine using such a perspective, and encourage scholarship from across disciplines, methodological and theoretical dispositions that advances understanding of marketing, consumers, consumption, and gender. We also encourage scholars to make additional submissions to ACR, which has “TRUST” as its broad conceptual focus. A series of biennial gender conferences began in 1991, with Janeen Costa and Barbara Stern serving as inaugural chairs. These conferences have been organized, run, and produced exclusively through the efforts of volunteers who have participated by chairing conferences, submitting and reviewing manuscripts, preparing calls for papers and budgets. 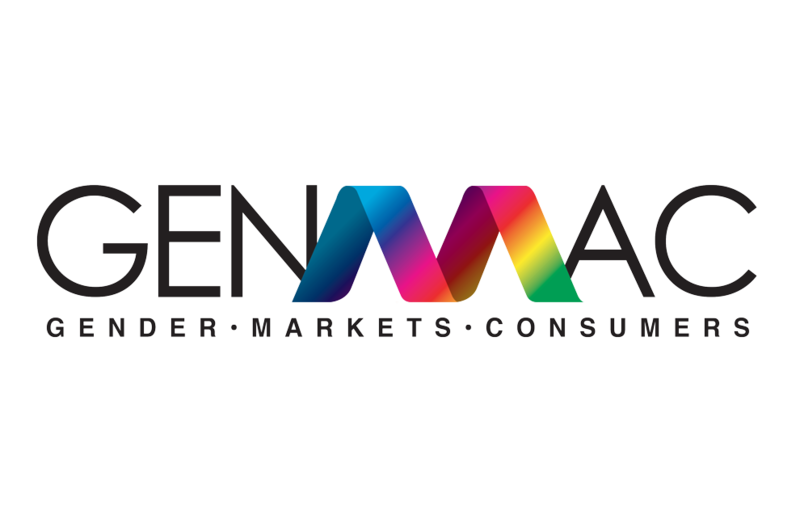 In 2016, we saw the birth of GENMAC, an organization formed by a diverse group of marketing scholars that is focused on gender research in marketing and consumer behavior. GENMAC, and its accompanying advisory board, seek to bring together voices of all constituents interested in gender, marketing and consumer behavior research and serves to more formally support the continued tradition of the Gender, Marketing and Consumer Behavior conference. As part of this process, we are excited to renew our connection to ACR, the largest academic consumer research organization in the world. The ACR North America conference, which is being held in Dallas, Texas, provides an excellent opportunity to create and maintain ties with the larger consumer research community. Texas is contending with a wide range of gender issues, including support and funding for family planning and the so-called “bathroom bill” aimed at restricting bathroom, shower and locker room access for transgender individuals. While the bill died with the last legislative session, the charge continues under Lt. Gov. Dan Patrick and other state leaders, and serves as an example of the importance of persistence in ensuring a diversity of voices are heard amidst the most contentious contexts. We hope both to energize our conversations around gender through the conference and to expand the reach of scholarship on gender in encouraging participation in the ACR conference. Submissions are due April 15th, 2018. Final decisions will be delivered July 15th, 2018. Page 1: Title, author or authors, track for which paper is to be considered (if you have a submission that doesn’t fit into one of the tracks, simply label the submission as “other”), and full contact information. Pages 2-21 (maximum): Double-spaced paper including tables, figures and references, please follow the Journal of Consumer Research referencing style. Please also indicate your willingness to present your work as a poster/working paper if it is not accepted as part of a competitive session. We welcome topical session proposals that include 3-4 papers or multimedia abstracts, with or without a discussant. These session proposals should have a unifying theme to which the individual papers all contribute. Page 1: Session title, presentation titles, session chairperson, discussant, if used, and full contact information for chairperson, discussant, and each presenter. Pages 2-4 (maximum): Double-spaced description of session and rationale. Pages 5-9 (maximum): Approximately 500-word abstracts for each presentation. Any work in progress that you wish to share but do not want to have considered for publication can be submitted as a working paper or poster for feedback from colleagues. Page 1: Title, format (film, paper, other) author/filmmaker, and full contact information (including e-mail). Pages 2-3: Double-spaced abstract of the paper or film. Completed papers should be submitted via EasyChair no later than April 15th, 2018. Please ensure that all hidden data and personal information is removed from the Word document (for instructions on how to do this, click here). Final notification of papers and sessions will be completed in mid-July. If accepted, authors must commit to appropriate revisions within six weeks. All submissions, reviews, and correspondence will be handled electronically.